Saturday, there are workshops and dances throughout the day. However, you may want to spend at least part of your day enjoying an outdoor adventure. 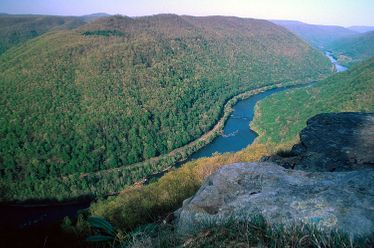 Fayette County,West Virginia has some fantastic outdoor recreation opportunities -- hiking, biking, rafting, rock climbing, floating on the river, ziplining throught the treetops, driving to scenic locations and more. The amount of time these activities take varies greatly. Directions and contact info are also given where needed. If you elect a briefer activity, you will have time to explore on your own.